Go green this holiday season and make your own Reindeer tree ornament. This craft is great for beginners and takes no time to make. You will need four wine corks and your favorite embellishments such as googly eyes, ribbon, raffia, pipe cleaners, pom-poms or whatever you have on hand. A glue gun is another essential item for this project. Glue two wine corks together for the base, glue another wine cork on top for the body and glue the fourth one on so it extends out halfway over the body. Once the glue dries you can add googly eyes, pom-pom, ribbon or whatever you want to creative a cute, quick, adorable Christmas Reindeer ornament. Reindeer are also called caribou. Reindeer shed and regrow their antlers annually. No two reindeer antlers are exactly the same (like snowflakes!). 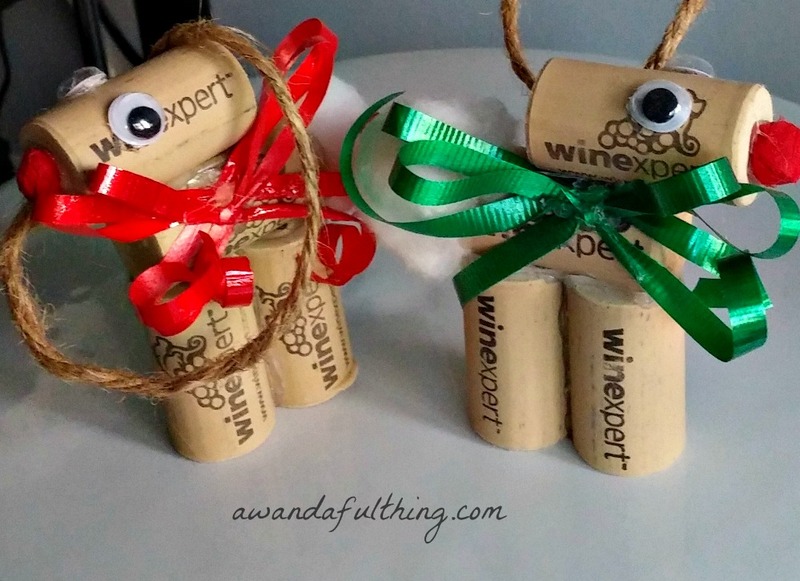 Day 3 – Cork Reindeer Ornament – It’s A Wandaful Thing! 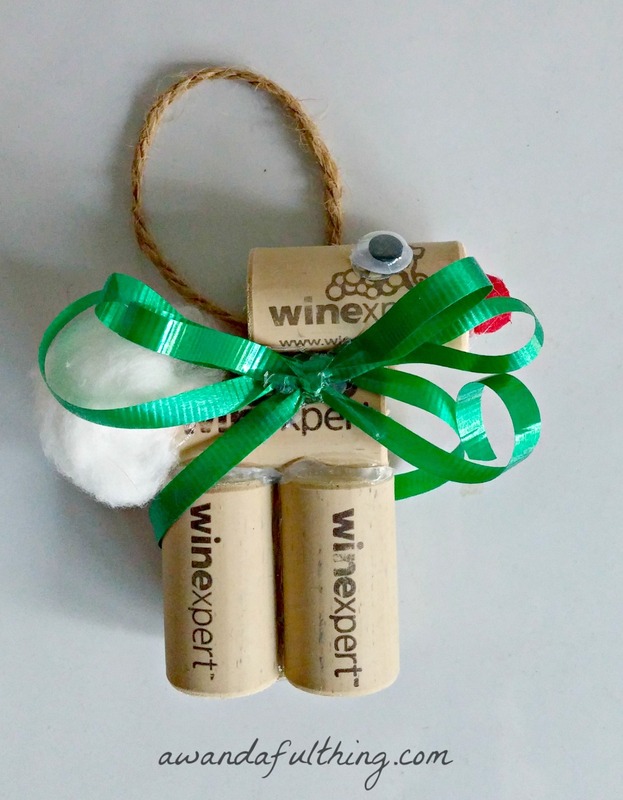 This entry was posted in Decorate, DIY, Make and tagged 12 days, challenge, Christmas, cork, Crafts, creativity, Decorate, DIY, easy, green, ideas, inexpensive, recycle, reindeer, repurpose, reuse, simple. Bookmark the permalink. Love the little known facts! They were neat things to learn eh?